Home Health Agency Targeted In ZPIC Audit? - Oberheiden, P.C. Is Your Home Health Agency Being Targeted in a ZPIC Audit? Home health agencies in the United States are subject to strict regulatory scrutiny, and data-driven investigative practices are causing an increasing number of home health care providers to face accusations of health care fraud. This process often includes what is known as a ZPIC audit. In this article, the attorneys in our firm’s Health Care Practice Group discuss what home health agencies and other home health care providers need to know when being audited by a ZPIC. Home health agencies play a critical role in the United States’ health care system. They provide critical service to patients in need, taking the burden off of family members who simply do not have the time, resources, and expertise to care for their loved ones independently. Anyone who has experienced home health care – whether as a patient, family member, or caregiver – knows the invaluable service these agencies provide. If your home health agency is facing a ZPIC audit, you do not need to panic. In fact, you should not panic. But, you do need to take your situation very seriously. Your ZPIC audit could lead to further investigation, and this could prove hugely disruptive for your business while potentially leading to civil or criminal charges. The federal government’s focus on home health agencies intensified five years ago, when a joint report issued by HHS and the Office of Inspector General (OIG) found that large numbers of home health agencies were submitting fraudulent and otherwise inappropriate claims for Medicare reimbursement. According to the report, one out of four home health agencies investigated showed signs of questionable billing practices, with a disproportionate number of these home health agencies (approximately 80 percent) being located in California, Florida, Michigan, and Texas. Implement claims processing edits and improve existing edits to prevent the most common billing errors. Increase monitoring of home health care agencies’ Medicare billings. Increase enforcement and assess whether to lower the annual cap on outlier payments to home health agencies. Consider a temporary moratorium on new home health agency enrollments in Florida and Texas. Take appropriate action to address questionable billing practices, including enhanced auditing and oversight of home health agencies nationwide. For many home health agencies, a Zone Program Integrity Contractor (ZPIC) audit is the first step in a long, complicated, and exhausting federal investigative process. ZPICs are government contractors – not government agencies – that get paid to identify Medicare billing errors and help HHS, CMS, the OIG and other agencies collect the evidence they need to prosecute home health agencies suspected of Medicare fraud. While ZPIC audits are much more invasive than Recovery Audit Contractor (RAC) audits, they still do not necessarily signify an intent to prosecute. In other words, if you are being audited by a ZPIC, you have not yet been charged with federal health care fraud. 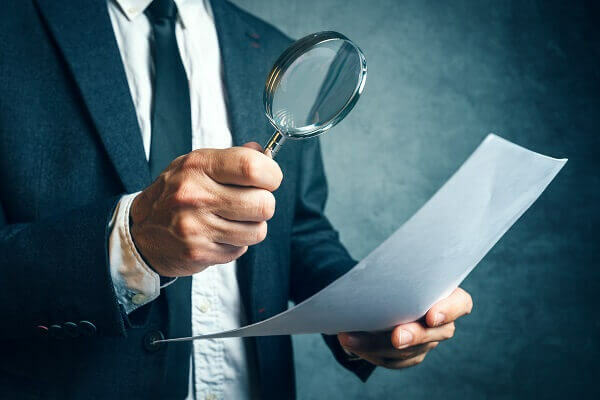 But, to make sure that your ZPIC audit does not lead to a federal investigation (and ultimately federal charges), you need to take a proactive approach to protecting your business during the audit process. What Are ZPIC Auditors Looking For? Since ZPICs get paid to identify mistaken and fraudulent billings, if your practice is facing a ZPIC audit, you can expect the auditors to find something wrong – unless you take action to protect yourself. The best way to avoid further consequences flowing from a ZPIC audit is to hire an experienced legal team to represent you during the process. Why hire legal representation for your home health agency’s ZPIC audit? The answer is simple: You do not want the audit to lead to a federal investigation. While there is an appeals process for ZPIC audits, it is long and difficult, and you want to avoid it if at all possible. While avoiding recoupment may be your business’s most immediate priority, avoiding disqualification from Medicare and other long-term financial consequences is most home health agencies’ primary reason for taking an aggressive and proactive approach to the ZPIC audit process. To learn more about the benefits of hiring legal representation for your ZPIC audit and the steps you should be taking now to protect your business, we encourage you to read: 10 Steps to Take When Facing a ZPIC Audit. ZPICs like to assert their authority, and in many cases they go too far. While technical issues such as missing signatures and missing dates can justify action by the government, seeking recoupment for these types of issues is generally beyond ZPICs’ authority. While home health patients generally must be “homebound,” this does not mean that they must have absolutely no means to independently leave their home. Yet, this is the standard that ZPICs will often seek to impose. Some ZPICs may even try to deny payment or seek recoupment simply because a patient is able to get out of bed. However, the federal standard is clear: A patient is eligible for home health services as long as he or she must exert a “considerable and taxing effort” in order to leave home. ZPICs will also often attempt to impose unjustified and unreasonably strict standards for what qualifies as a “skilled service” provided to a home health patient. For example, ZPICs frequently dispute home health billings for services such as medication management and health care education. However, it is clear that these services can qualify for Medicare reimbursement in the home health context, and providing appropriate documentation can help prove that your billings comply with the law. Some ZPICs will also take adverse action against home health agencies based upon billing practices that were legal when implemented, but which are prohibited under current Medicare regulations. The Medicare billing regulations change frequently, and it takes an experienced health care attorney to be able to spot ZPIC allegations that rely on inapplicable post-billing standards. Is Your Home Health Agency Facing a ZPIC Audit? If your home health agency is facing a ZPIC audit, the health care fraud defense attorneys at the Oberheiden, P.C. can help. To schedule a confidential initial consultation, call (888) 452-2503 or inquire online today.